IT solutions for vehicles here help to simplify the driving experience - whether it be in the vehicle itself, in traffic, or inside and outside cities. 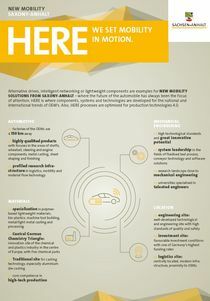 Saxony-Anhalt is developing solutions in the fields of networked vehicles and autonomous driving. Connectivity is a central keyword of the new mobility. Modern vehicles are normally equipped with internet access, or possess WLAN. This makes possible communication within the vehicle between the individual vehicle systems, and the communication of the vehicle with external systems. The data exchange makes it possible, for example, for the system to notify the driver if they exceed the mandatory speed limit. Or to warn of traffic jams or accidents that have just arisen, so that they can be circumvented. In the framework of the project ANIKA, which was realised in cooperation between the states of Saxony-Anhalt and Lower Saxony, there was a targeted study of upgrade options for the existing infrastructure system of autobahn call boxes. The object of the project was the sustainable and intelligent use of the existing infrastructure for the targeted conveying of up-to-date traffic information to road users in the respective area. It is planned to increase motorway safety by means of the communication possibilities arising between infrastructure and car (Car-2 Infrastructure). The project has resulted in evidence of the feasibility of upgrading call boxes and the portrayal of useful fields of application and the basic working out of further fields of research. 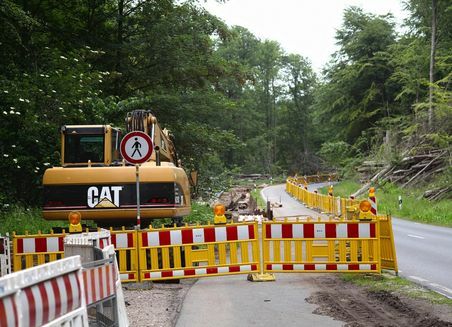 In Saxony-Anhalt, a Germany-wide and so far unique system for warning of moving roadworks on autobahns has been put into operation. “We want to use all possibilities leading to more safety on our roads”, said State Transport Minister Thomas Webel on the occasion of the commissioning of the new Workplace Warning System of Saxony-Anhalt (AWSA) in Dessau-Roßlau. “The improvement of traffic safety and substantial reduction of the accident figures is one of our core concerns”, emphasised the minister. The objective of the state government, which is also anchored in the road safety concept, is called “Vision Zero”. “By 2020, we want to reduce the number of road fatalities by 40 percent and that of severely injured by 20 percent compared with the figures for 2010”, he added. Using the highway department’s own vehicles as warning indicators is a further step, he said. According to the Minister, the existing information systems of the state traffic warning service and the broadcasting companies have been linked with those of the road construction authority. The warning message is broadcast via RDS/TMC (Radio Data System/Traffic Message Channel) to the car radios and navigation systems of all road users on the respective section of autobahn. The emergency vehicles and blocking trailers of the state road building authority signal where they are currently in use - whether it be for the securing of accident sites, for mowing work, or other maintenance measures along the autobahns. This way, drivers are informed in good time of disruptions in the flow of traffic, causing attentiveness to then be substantially higher in the actual danger area, said Webel. “Here we make cheap use of already existing technology and business processes, thereby reaching almost all road users”, said the Minister, emphasising an important special feature of the new warning system. The messages can be received in the car or HGV as a graphic symbol and as lettering in various languages, combined with an acoustic signal. The system functions entirely irrespective of the terminal device. The idea for this was developed in the state-road building authority. 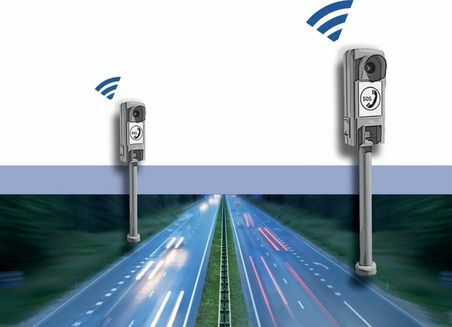 The system is to be used in future on all autobahns, A-roads, and land roads in Saxony-Anhalt. This is to cost around 150,000 euros. A good book behind the steering wheel, while the car moves independently through the traffic? This kind of “autonomous vehicle for everyone” is certainly still a utopian idea. But many automated functions are already a reality in vehicles on our roads - from parking systems, to the automatic distress call function and lane assistant, to classic ABS.